Instructors using K-State Online Canvas can grade assignments and provide feedback easily and on-the-go with the SpeedGrader app. 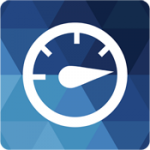 Apple users can Download the iOS app for your iPad, and view the SpeedGrader iOS Guide for more information on how to use the SpeedGrader app. Android users can Download SpeedGrader in the Play Store. To learn more about the new Android release, view the SpeedGrader Android Guide. SpeedGrader is also available in the desktop version of K-State Online powered by Canvas. To learn how to use SpeedGrader, view the SpeedGrader Guide.